Liverton Village Hall | At the heart of the community! Community Cinema – Next Screening 28th April! 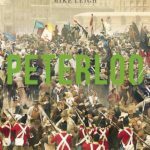 Our next screening at Liverton Village Hall Community Cinema will be on the evening of Sunday April 28th (7pm): Peterloo – the critically acclaimed Mike Leigh film concerning an important, though little-known, episode in this country’s history – NB, this film is Classified 12. See the Trailer here; see a Review here. More details, including ticket reservation here. Details of the next Coffee Morning or Afternoon Tea can be seen on the Calendar. If you would like to hold a Coffee Morning (or Afternoon Tea!) at the Hall to raise money for a charity of your choice, then contact us for details (contact form at bottom of this page). Community Cinema – First Screening 24th March! 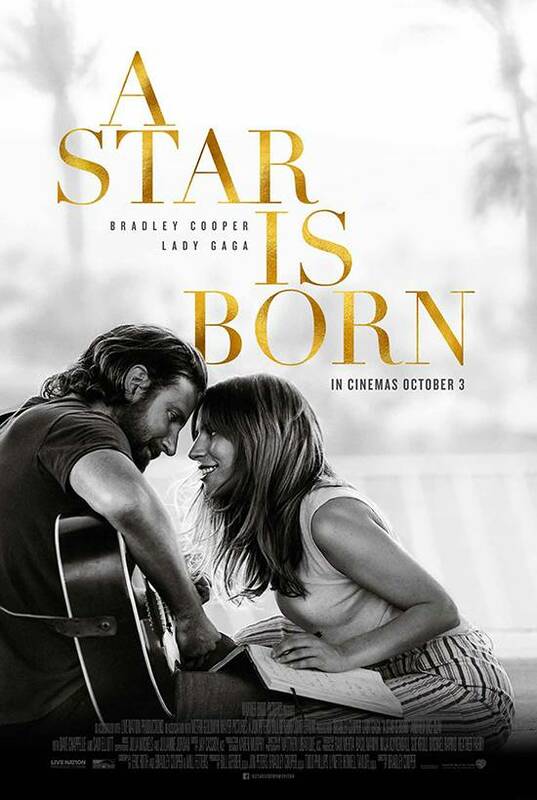 Following the successful test of our new AV equipment, we are pleased to announce that our first public film screening will be on March 24th: A Star is Born – the latest version staring Lady Gaga, with musical BAFTA and OSCAR awards – NB, this film is Classified 15. 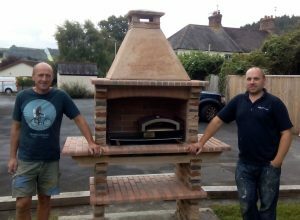 The newly completed Community BBQ & Pizza Oven was launched at an event open to the local community on Thursday 6th September 2018 – we were very happy to welcome a lot of new faces to the hall, and hope that this will lead to repeat visits for future hall events. We will be drawing up policies for those who wish to hire the bbq/pizza ovens along with the hall in due course. in the meantime, holding future community events of a similar nature requires a bit of preparation beforehand and help on the night. If you would like to help out with future events do get in touch with the committee! Hatha Yoga with Leah is on Thursday mornings 9-30 to 11.00am; £9 drop in or £45 for a six week course – developing health, posture, breath and meditation. For details email: contactleahedwards@btinternet.com. Slimming World is still going strong on Monday mornings from 9.30 to 11.30am. 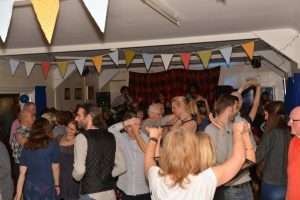 Thank you to all who helped organise and who came along to the Christmas community social event in 2018 – the 2019 event will be announced in due course! 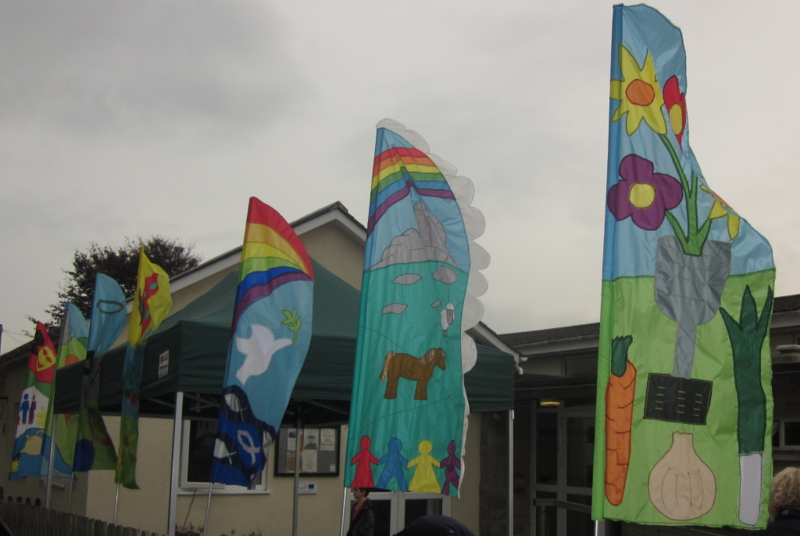 Thanks to all who came along – flags are resting over Autumn/Winter – keep an eye on the flagpoles over the Christmas period! Would you like to help make some flags to be displayed outside Liverton Village Hall? We will be holding a Flag-Making Workshop at the Hall on Saturday 21st January 2017 (come for a full day, a half day, or just an hour or two if that is all you have free). The workshop will be supervised by Bridget Arnold, who has helped other local venues decorate their grounds with flags (see above). We will make flags that either celebrate Liverton Heritage & History or represent Hall user-groups – the flags are to be designed and made by workshop attendees! 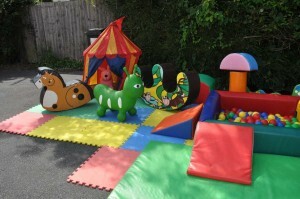 Materials/equipment/instruction will be provided, although you are welcome to bring a sewing machine if you have one. Bring Lunch – Tea/Coffee & Biscuits will be provided! The workshop begins around 10am and will run to 4pm or there abouts – if you can’t stay for the whole day then come for a short while – help needed with design, cutting out designs etc as well as sewing the flags together, so don’t worry if you can’t use a sewing machine! This workshop is FREE to attend – it has been funded by a grant from The Ilsington Village Shop Association. Thanks for Supporting our Salsa Night! Thank you to all who came along to support our Villages in Action Salsa Band night (see below) – and thanks to the committee and other helpers for making it a great success! A special thank you to Angus from Abanico Salsa for a great warm-up dance lesson before the band came on. If you want to hear of future events at the Hall then sign up (on the right) to receive news posts, or keep an eye on the Hall’s facebook page. The sponsorship money for the event that was received from Dean Forge and Abanico Salsa allowed us to purchase some great stage lighting for future hall events as well as low-level LED string lighting to set a great ambiance for social events and parties. Thanks to Laurie for the photos! 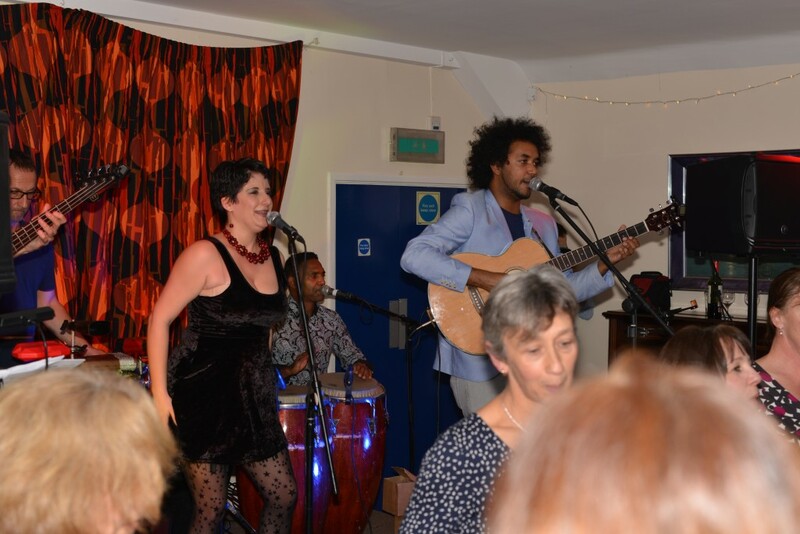 Live Salsa Band Son Yambu in November! This event has been arranged through the Villages in Action organisation, that brings international-class acts to village halls. In the lead up to the event, Abanico Salsa will be running some dance classes (Salsa, Merengue and Cha Cha) at the Hall. See here for more details – though please note: tickets are now sold out (a wait list is available)! The Hall has been booked by The Seasoned Kitchen for a ‘Pop-Up Restaurant’ on Saturday September the 17th – a three course meal will be provided for £26 and you can bring your own alcohol along to drink. For details, phone: 07470 210074. 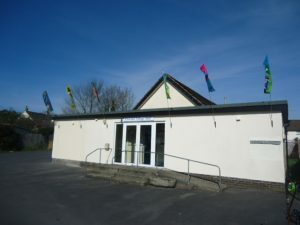 Would You Like to be a ‘Friend of Liverton Village Hall’? Would you like to help out with Hall projects or social events, or just be kept informed about what is happening at the Hall? Why not become a ‘Friend of the Hall? – click here for details. The Wednesday morning Parent/Carer & Toddler group sessions run from 9-30 to 11-30am during term-time, priced at £3.00 (sibling discount available). There are soft toys, singing and refreshments. For further details get in touch with AbbaDabba, or just come along.